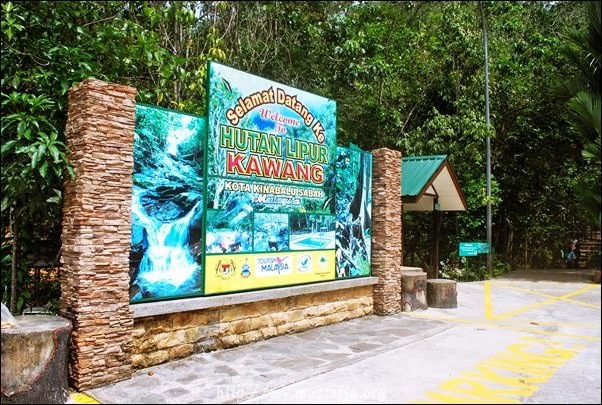 The Kawang forest reserve is situated about 23 km from Kota Kinabalu along the old Papar road. 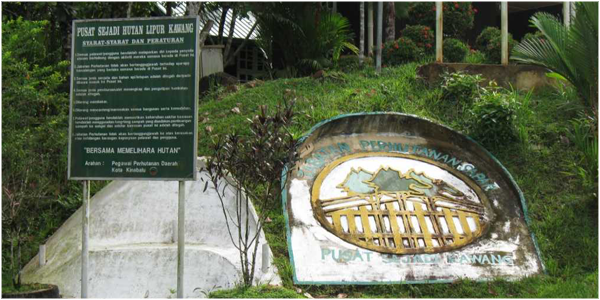 The signage is very poor and you have to look out for a very small sign on the right hand side on the road just after the Village of Kawang to find the entrance. This forest reserve, which is 3,832.5 acres in size, was gazetted in 1957 in an effort to preserve and sustain the biodiversity of the Primary forest here. Over the years there has been some encroachment by local villagers along the boundariesand one will find old rubber and fruit trees planted by the villagers. In 1984, it was re-classified as a Second Class Domestic Forest Reserve, with the main function of supplying gravity water to the locals living within its proximity. There was considerable damage due to a forest fire some years ago and currently the forestly department is involved in a rehabilation programme and to-date, over 20,000 seedings of native hardwood trees have been planted within the reserve. The forestry department has been actively developing the area around the main entrance as a local tourist destination. A clear river runs next to the entrance and this has been landscaped to form a very pretty picnic and swimming area. The river has been dammed to form a series of shallow natural pools for swimming while a few large open-air, tiled bathtubs have been built. Water from the river is piped into these, which visitors can use as their own little private bathing pool. Gazeboes with picnic tables, seats and bar-b-que pits are located along the river together with toilets and changing rooms. A large but rather empty information center doubles up as the office and also includes a meeting room. There is a display with photographs and diagrams explaining the dynamics of the rainforest which could be very limited information as many of the photos are faded and has very limited information. For overnight visitors, 3 chalets have been built. Each chalet has 3 rooms and is equipped with a kitchen, gas stove and bathrooms with hot water showers. (However you have to bring your own crockery and cutlery). Rich in flora & fauna the reserve is diverse in many species of plants and animals and even has its own small cave system, it will provides outdoors enthusiasts and nature lovers with a excellent introduction to the tropical rainforest. A 2.9 kilometers loop trek, takes one to the waterfall and some bat caves. The trek to the waterfall has been developed with a paved path and concrete steps making it accessible to almost everyone. Along the way, you will see some rather large trees, various species of wild gingers, herbs and even a few orchids. As is normal in the tropical rainforest, one has to be very observant to see the tiny flowers and insects. At the waterfall, a viewing platform with seats and gazebo has bee built to enjoy the cool green atmosphere, however no swimming is allowed at the waterfall as the water is piped to the surrounding villagers. 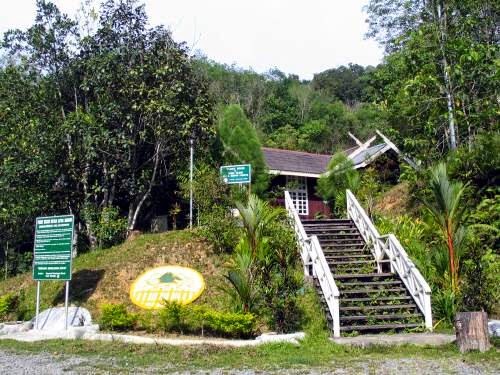 Being to close to the city, the forest reserve is a great place to visit for nature lovers and families who are looking for a short trip away from hustle and bustle of the city. Open daily from 8am to 12 noonand 2pm to 4.30pm, except for Friday when they close earlier for lunch at 11.30am and reopen at 2pm.